Few people in this world truly love selling. And most of the people who do DON'T go to law school. We've worked with attorneys for decades, and one of the universal truths about lawyers is that most don't like "selling." In fact, most hate sales. 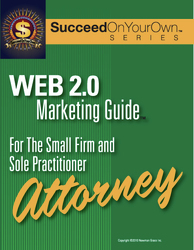 Attorney marketing and sales has not been easy for most lawyers...until now. 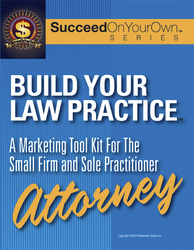 The SucceedOnYourOwn™ Series for Attorneys is designed for attorneys just like you. No one wants to feel like a used car salesperson, and you shouldn't have to to. 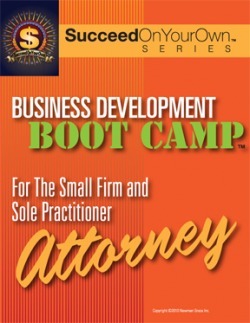 The SucceedOnYourOwn™ Series uses a special technique for turning "selling" into "telling" so that prospects won't think you're selling. In fact they'll value what you have to say. • How to go from "know" to "like" to "trust" to "referral"
As you create a differentiated practice, target key clients and referral sources, and learn to energize your message with compelling support, your brand becomes more compelling. 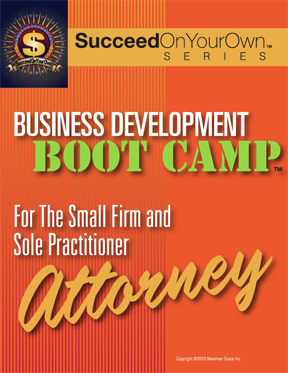 The SucceedOnYourOwn™ Series for Attorneys will show you how, as a sole practitioner attorney or small law firm, you can create "brand demand" using the same proven strategies of the world's biggest brands, like Apple, Mercedes-Benz, Coca Cola, and Southwest Airlines. 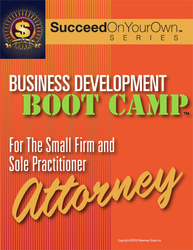 And best of all, the SucceedOnYourOwn™ Series for Attorneys takes you step by step, is easy to understand, and will show you how you can do it without hiring a law coach or Johnnie-come-lately sales expert! The Case For Marketing—Why It's More Important Than Ever! PLUS, this guide contains a special section on using Social Networks. In addition, it contains a 12-Month Pro Forma Personal Marketing Plan™. Click here to learn more...Or Order NOW! Sign up for the FREE SucceedOnYourOwn™ Newsletter. 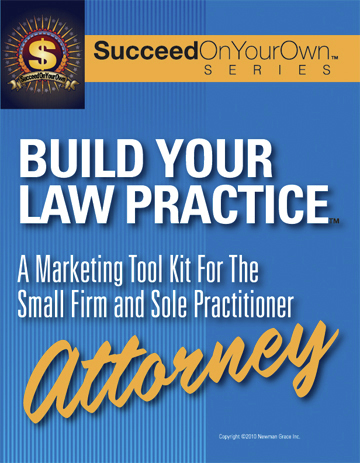 Our bi-weekly newsletter contains tips, case studies and success examples of attorneys using the SucceedOnYourOwn™ System. 7 Ways To Use Social Networking For Business and Business Development! Which Online Networks You Must Belong To And Which Are A Waste Of Time! 11 Advanced Networking Strategies To Boost Your Personal Brand Online! And much, much more, including sample marketing collateral! 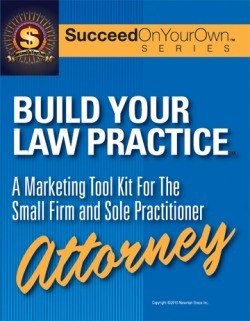 The SucceedOnYourOwn™ Series for Attorneys is the only marketing program of its kind. What makes it different? Our process is build on the foundation of years of marketing consulting with countless professional services firms. We've tested and tried many different strategies and techniques so you don't have to. • NO long term commitment—except to your own success! A complete guide to naming, differentiating, and creating a brand that can bring in the business! 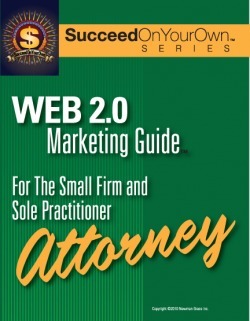 A step-by-step program to assess your competitors, prospects and client base to help focus your firm's marketing efforts! Your own "marketing mix"; analyzing which techniques work and which don't; putting the pieces together in a plan for success! Ready for you to "plug and play" or customize to your own needs! • Special Bonus: A personalized version of our own F.O.C.U.S. Branding™ process to help you create a successful brand! Ready to succeed? Click here to order now and get your special bonus!